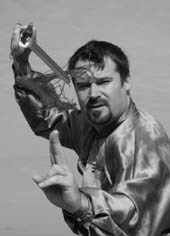 Maxiqi Neijiaquan is Chinese for Sam Masich Internal Arts and refers to Sam�s unique approach to teaching internal martial arts material. Neijiaquan (内家拳) are the internal martial arts of China. Neijia disciplines include both martial & health arts. Examples of martial arts include taijiquan (太極拳), better known as 'Tai Chi', baguazhang (八卦掌) and xingyiquan (形意拳). Some Neijia health arts include qigong (氣功; aka. ch�i kung) and mingxiang (冥想; meditation). Sam teaches these and other internal arts disciplines in seminars and intensives around the world. He is respected by students, contemporaries and elder generation masters alike for his progressive approach to traditional material. Particularly skilled in yang-style taijiquan (揚式太極拳), Sam is best known for tui-shou (推手; push-hands) and the classical taiji weapons, straight-sword (taijijian 太極劍), sabre (taijidao 太極刀) and spear (taijiqiang 太極槍). He is also the creator of the 5 Section Taijiquan Program. Sam has devoted a great deal of time and energy to finding ways to make these seemingly esoteric studies achievable and fun, and practitioners around the world have appreciated his efforts. *馬希奇 Maxiqi (pron. Ma-h�shee- chee) is �Masich� sinofied and literally translates to 'strange horse'. Ma means 'hors'e and xiqi means rare or eccentric. The name was given to Sam during the 1985 World Wushu Invitationals in Xi�an, China, when he was a member of the Canadian National Wushu Team. 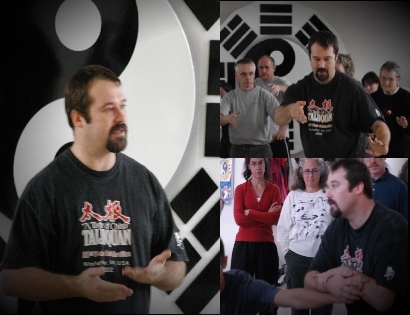 Check out some of Sam�s articles, instructional DVDs and his workshop schedule. Confused about some of the Chinese Terms? Click here to view printible articles on basic Chinese as it relates to Tai Chi and Neijia.